BULLION- MCX Gold and Silver may note choppy trade in line with the international market but the overall bias is on the upside. COMEX gold trades mixed near $1290/oz after a 0.3% gain yesterday. Gold has turned choppy after testing $1300/oz level for the first time since June 2018. The rally in gold price came to a halt amid improved risk sentiment. Progress over US-China trade talks, upbeat US labour data, Feds patient stance on interest rate hikes and Chinas move to cut reserve requirement rate helped global equity market stabilize. Commerce Secretary Wilbur Ross said there's a "very good chance" the US gets a reasonable deal with China. ETF outflows also show some profit taking in gold. Gold holdings with SPDR ETF fell by 1.47 tonnes to 796.78 tonnes. However, supporting price is the weaker outlook for US dollar amid Feds cautious tone on US economy and patient stance on interest rate hikes. Atlanta Fed President Raphael Bostic said the US central bank should only raise interest rates once this year but keep going with its plan to gradually shrink the balance sheet. While risk sentiment has improved, global uncertainty persists amid a slowdown in the Chinese economy, US government shutdown and Brexit uncertainty. Gold may witness mixed trade as market players await fresh cues. However, we maintain buy on dips view as US dollar is likely to remain choppy while risk sentiment may not improve significantly. COMEX Silver trades weaker near $15.7/oz amid rangebound movement in gold and weakness in industrial metals. Gold has turned choppy amid lack of fresh cues. Industrial metals are pressurized by concerns about the Chinese economy. ETF outflows also show weaker investor interest. Silver holdings with iShares ETF fell by 72.98 tonnes to 9790.1 tonnes, lowest since June 2018. The spot gold-silver ratio rose from 81.9 to 82.4 as silver ended lower yesterday. BASE METAL - Basemetal on LME trade sideways to lower today after ending on a higher note yesterday. LME Zinc was the top performer with 2.5% gains following a 0.7% rise in Aluminum prices and 0.4% gains in Nickel prices. In other metals, Copper and Lead too ended modestly higher. The metals pack trades sideways to lower in early trades today after two days of gains amid caution ahead of US-China trade talks outcome. Markets are in a wait and watch mode as they await the outcome of US-China trade talks. The Trump administration has expressed optimism it can reach a reasonable trade deal with China as President Xi Jinping dispatched one of his top aides to negotiations in Beijing. Also putting pressure on the prices is demand worries especially from top consumer China along with and a mixed trend in the global equity market. support price.Natural Gas- MCX Natural gas may note mixed trade in line with the international market but sell on rising is suggested. NYMEX natural gas trades marginally higher near $2.96/mmBtu after a 3.3% decline yesterday. Lack of fresh cues has resulted in some short covering in natural gas. However, weighing on price is a forecast of mild weather in US which will keep a check on heating demand. Also weighing on price is expectations of another smaller than average decline in gas stocks which will further ease tightness concerns. Natural gas may witness choppy trade amid lack of fresh cues but slack demand expectations may keep the pressure on price. The focus will be on US weather and trend in energy prices. Investment & trading in the securities market is always subjected to market risks, past performance is not a guarantee of future performance. BULLION:- counter may continue its last week upside momentum following comments by U.S. Federal Reserve Chairman Jerome Powell that the central bank would be patient and flexible in steering the course of interest rates. The Fed chairman on Friday sought to ease market concerns that the U.S. central bank was ignoring signs of an economic slowdown, saying he was aware of the risks and would be patient and flexible in policy decisions this year. 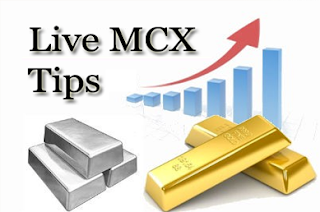 Gold can test 31650 in MCX taking support near 31370 in MCX and silver can move further upwards towards 39500. U.S. employers hired the most workers in 10 months in December while boosting wages, pointing to sustained strength in the economy that could ease fears of a sharp slowdown in growth. Gold discounts in India widened to a two-month high last week as prices surged to a more than six-month peak and demand remained subdued due to New Year holidays. Chinese officials will meet their U.S. counterparts for trade negotiations starting later Monday, the first face-to-face talks of the year. BASE METALS:- prices may continue last week recovery on the hope of trade deal between US and China this week. Copper can take key support near 400 and can recover towards 416. Zambia's Konkola Copper Mines (KCM), majority owned by Vedanta Resources, suspended operations at its Nchanga mine following the introduction of import duty on copper concentrates, the company said. Zambia, Africa's No.2 copper producer, introduced new mining duties, increased royalties and plans to replace Value Added Tax (VAT) with a sales tax by April to help bring down mounting debt. Zinc can recover towards 175 taking support near 168. China's steel and iron ore futures started the week firmly on Monday, buoyed by central bank policy easing and by hopes that talks could help end Sino-U.S. trade tensions. China's central bank on Friday cut the amount of cash that banks have to hold as reserves for the fifth time in a year, freeing up $116 billion for new lending. Lead can take support near 134 and can face resistance near 138. Nickel can take witness further recovery as it can test 785. Aluminium can take improve further towards 131 levels taking support near 128 levels. ENERGY:- Crude oil may trade in green as oil prices rose by more than 1 per cent on Monday, lifted by optimism that talks could soon resolve the trade war between the United States and China, while supply cuts by major producers also supported the market. Financial markets were riding a relief rally on Monday on expectations that face-to-face trade negotiations between delegates from Washington and Beijing, due to start on Monday, would lead to an easing in tensions between the two biggest economies in the world. Crude oil can test 3400 while taking support near 3300. Despite the likelihood of a slowdown, crude future prices were being supported by supply cuts started late last year by a group of producers around the Middle East-dominated Organization of the Petroleum Exporting Countries (OPEC) as well as non-OPEC Russia. Natural gas may open in red as it can tumble lower towards 200 in MCX. The number of rigs drilling for natural gas in the United States remains unchanged this week at 198, data from oil services firm Baker Hughes showed on Friday. Horizontal rigs -- the type most often used to extract oil. BULLION:- Gold hit fresh six months high on tense global equities. US stocks fell nearly 3% on the day. Market participants are watching a partial US government shutdown that is nearing its second week as President Donald Trump's to meet with top lawmakers to discuss reopening the government by resolving a dispute over funding for the expansion of the US-Mexico border wall did not bear any meaningful result. COMEX Gold is currently trading at $1297 per ounce, up marginally on the day. MCX Gold futures ended at Rs 31800 per 10 grams, up 0.60% on the day. The Indian Rupee extended losses yesterday amid weak stock markets. The domestic currency closed around 70.20 per US dollar after testing a two week low above 70.50 marks. However, the demand concerns in physical markets can come into the picture for Gold in the near term. The US bullion coin sales reported a weak performance for the second year in a row in 2018 despite lower gold and silver prices, according to the latest data released by the US Mint. The sales of American Eagle gold and silver coins were the lowest since 2007, while American Buffalo coins saw a modest recovery from the worst year on record. BASE METAL:- COMEX Copper slipped amid weak equities and profit selling pressure. Deep losses were seen in American and European markets with the shares in US, Germany and France leading the charge. However, bargain buying lifted the red metal today after the commodity tested near four month low. The red metal currently trades at $2.59 per pound, up 0.75% on the day after a sharp correction yesterday. The MCX Copper futures ended down 1% on the day, closing just above Rs 400 per kg level. Sentiments stayed lax on uncertainty about US trade policy and concerns over federal government funding of a border wall with Mexico. General concerns about a global economic slowdown also weighed on sentiments. Global cellphone giant Apple Inc cut its quarterly sales forecast for the first time in more than a decade, with Chief Executive Officer (CEO) Tim Cook blaming slowing iPhone sales in China, whose economy has been dragged down by uncertainty around United States (US) - China trade relations. ENERGY: -Crude oil edged up Thursday amid volatile trade as markets focussed on the talk that Saudi Arabia is likely cutting crude output. Prices have not been able to hold onto their gains this week as soaring US Crude oil output clubbed with corrective equities are hurting the sentiments for the commodity. The WTI Crude futures currently trade at $47.25 per barrel, up 0.30% on the day. MCX Crude should recover on these cues after closing under Rs 3290 per barrel yesterday. Gold steadied on Thursday, after declining about half a percent in the previous session as the U.S. Federal Reserve did not deliver as dovish a statement as some investors had expected. The Fed raised interest rates on Wednesday and noted that "some" rate hikes would be needed next year, a more aggressive stance than many expected. In a news conference, Fed Chairman Jerome Powell said the central bank would continue trimming its balance sheet by $50 billion each month, leaving open the possibility that continued strong data could force it to raise rates to the point where they start to brake the economy's momentum. U.S. benchmark Treasury yields fell to more than eight-month lows on Wednesday following Powell's statement, which spurred safety buying of U.S. government debt. Most banking, insurance and other financial firms in Britain would be cut off from the European Union if there is a no-deal Brexit, the bloc's executive body said on Wednesday. Italy's two-year bond yield hit its lowest in almost seven months on Wednesday, following news that Italy had reached a deal over its 2019 budget with the European Commission. As shorts covered their positions after the US dollar index fell, LME copper crept to close at $6,065/mt on Wednesday. The SHFE 1902 contract rebounded to close at 48,440 yuan/mt overnight from a low of 48,140 yuan/mt. LME copper is expected to trade at $6,010-6,070/mt today and the SHFE 1902 contract is likely to trade at 48,200-48,500 yuan/mt. Spot premiums are seen at 20-120 yuan/mt.London nickel climbed to close at $10,980/mt on Wednesday. Its SHFE counterpart also gained overnight, as shorts aggressively cut their positions, ending at 90,200 yuan/mt. LME nickel is expected to hover around $10,900/mt today with the SHFE 1905 contract at 89,000-90,500 yuan/mt. Spot prices are seen at 89,500-96,000 yuan/mt. Oil prices fell on Thursday to erase most of their gains from the day before, resuming declines seen earlier in the week amid worries about oversupply and the outlook for the global economy. "Wednesday's recovery was short-covering. Investors quickly moved their attention to deteriorating fundamentals in the oil markets including more signs of slowing economic growth next year, record production and the lack of confidence with OPEC's pledge to curb production," said Xi Jiarui, chief oil analyst at consultancy JLC. The Organization of the Petroleum Exporting Countries and other oil producers including Russia agreed this month to curb output by 1.2 million barrels per day (bpd) in an attempt to drain tanks and boost prices. Oil prices are down more than 30 percent from peaks seen in October. But the cuts will not happen until next month and production has been at or near record highs in the United States, Russia and Saudi Arabia. Saudi Arabia's energy minister, Khalid al-Falih, said he expected global oil stocks to fall by the end of the first quarter, but added that the market remained vulnerable to political and economic factors as well as speculation. Gold prices dipped early on Thursday as the dollar steadied after declining from a near one-month high in the previous session, while palladium rose to a record high, trading at a premium to the bullion. Asian shares and the pound moved higher as investors breathed a sigh of relief after British Prime Minister Theresa May survived a no-confidence vote, and as China appeared to be taking more steps to meet U.S. demand to open its markets. China appears to be easing its high-tech industrial development push, dubbed "Made in China 2025," which has long irked the United States, amid talks between the two countries to reduce trade tensions, according to new guidance to local governments. British Prime Minister Theresa May survived a confidence vote by the Conservative Party on Wednesday, but a mutiny by more than a third of her lawmakers indicated parliament was heading towards deadlock over Brexit. London copper regained some losses after it fell to the day’s lows of $6,132/mt on Wednesday, ending at $6,150/mt. After opening lower, the SHFE 1902 contract hovered at 49,030-49,130 yuan/mt overnight and closed at 49,120 yuan/mt. A lack of inflation in November, UK Prime Minister Theresa May’s survival of a no-confidence vote and new US-China trade hopes weighed on the US dollar index overnight and supported copper prices. LME copper is expected to trade at $6,130-6,180/mt today with the SHFE 1902 contract at 49,000-49,400 yuan/mt. Spot premiums are seen at 40-120 yuan/mt. With a higher open, LME nickel edged up to close at $10,785/mt on Wednesday. The SHFE 1905 contract jumped to a high of 89,450 yuan/mt overnight before it closed at 89,000 yuan/mt. LME nickel is expected to hover around $10,800/mt today with the SHFE 1905 contract at 88,500-90,000 yuan/mt. Spot prices are seen at 89,000-96,500 yuan/mt. Fundamentals remained weak even as recent trade in the domestic spot market improved. Oil prices rose on Thursday, buoyed by a drawdown in U.S. crude inventories and signs that China is taking more concrete steps to put a trade war truce with Washington into action. Crude oil prices have also been supported by OPEC-led supply curbs announced last week, although gains were capped after the producer group lowered its 2019 demand forecast. "Crude oil prices rose, helped by the easing trade tension, as well as a fall in inventories," ANZ bank said on Thursday. The news that China is looking to redraft its 'Made in China' 2025 plan boosted hopes that trade talks are progressing better than expected. China made its first major U.S. soybean purchases in more than six months on Wednesday, while Beijing also appears to be easing its high-tech industrial push, dubbed "Made in China 2025," which has long irked Washington. Drop in U.S. crude stockpiles, though less than expected, has helped boost sentiment, analysts said. 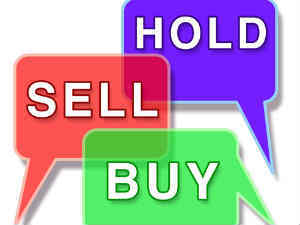 The commodity trading is a commodity selling and buying through exchange. Where different commodities are online business Through this, most of the agricultural products and other raw products (like wheat, sugar, pulses, oil, cotton and metals) do business. If you want to do business yourself, then you have the facility of computer and internet. Commodity trading is not like normal trading. All the trading here is done for the future. There are many commodity exchanges in India, through which the commodity turnover is done. Among these, MCX, NCDEX, NMCE and ICEX are prominent. To start a commodity business you must have a trading account with a computer and internet facility. Your trading account is to be opened with the same broker, who has subscribed to major commodity exchanges such as MCX, NCDEX etc. You will get a list of these brokers associated with these exchanges website. You must have a PAN card, address proof and bank account to open a trading account. Brokers charge you a fee for this account. But if you trade with the broker, then you can call it to call your call. 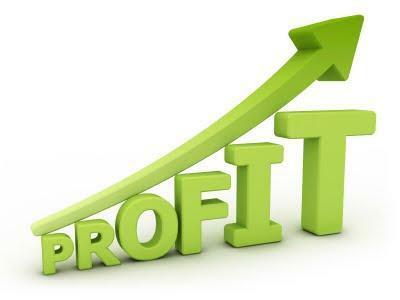 After taking up all this, you increase understanding about commodity trading and make mock trading. After this you can start trading in commodity. Gold at COMEX continued to trade below $1200/Oz with a downward pressure as the likelihood that the Federal Reserve will announce and implement an interest rate hike on September 27 at the end of this month’s FOMC meeting, traders and investors are beginning to focus on what comes after that. Currently, the CME’s FedWatch tool predicts a 99% probability of a rate hike this month, followed by a 60% probability that the Fed will implement another rate hike in December. This action could continue to weigh heavily on gold prices as higher interest rates will certainly be supportive of the U.S. dollar. Last week’s jobs report is certainly supportive of a rate increase this month. Concerns continue to grow as the United States and China continue to be deeply immersed in a trade dispute that seems more and more like it will become a full-blown trade war. Base metals were trading mixed on Tuesday morning as an intensifying trade dispute between the United States and China raised concerns over demand for industrial metals. China will respond if the United States takes any new steps on trade, the foreign ministry said on Monday, after U.S. President Donald Trump warned he was ready to slap tariffs on virtually all Chinese imports into the United States. Trump said on Friday he was ready to levy additional taxes on practically all Chinese imports, threatening duties on $267 billion of goods over and above planned tariffs on $200 billion of Chinese products. Wood Mackenzie estimates the expansion of the tariff list could raise the impact to around 1 percent of total Chinese copper demand, as many copper intensive goods are included in the extended list. Oil was steady on Tuesday, supported by looming U.S. sanctions against Iran's petroleum industry. But prices were capped by signs that increased supplies by other major producers, including the United States and Saudi Arabia, could make up for the disruptions from Iran. Washington is putting pressure on other countries to also cut Iran imports, with close allies like South Korea and Japan, but also India, showing signs of falling in line. US Energy Secretary Rick Perry met with Saudi Energy Minister Khalid al-Falih on Monday in Washington, the US Energy Department said, as the Trump administration encourages big oil-producing countries to keep output high ahead of the renewed sanctions. Perry will also meet with Russian Energy Minister Alexander Novak on Thursday in Moscow. Russia, US and Saudi Arabia are the world's three biggest oil producers by far, meeting around a third of the world's almost 100 million barrels per day (bpd) of daily crude consumption. Combined output by these three producers has risen by 3.8 million bpd since Sept.
Gold headed for longest monthly losing streak since 2013. Gold inched lower on Friday, as the dollar stayed firm on expectations of rising interest rates amid lingering Sino-US trade tensions, and the yellow metal was headed for its fifth straight monthly decline. Spot gold was down 0.1 per cent at $1,198.66 an ounce at 0029 GMT. Prices were on track for fifth straight monthly decline, the metal's longest losing streak since early 2013. They are down about 2 per cent so far this month. US gold futures were mostly steady at $1,204 an ounce. US President Donald Trump is prepared to quickly ramp up a trade war with China and has told aides he is ready to impose tariffs on $200 billion more in Chinese imports as soon as a public comment period on the plan ends next week, Bloomberg News reported on Thursday. Policy and regulatory certainty in South Africa could potentially add 122 billion rand ($8 billion) in capital expenditure to the struggling mining sector over the next four years, the Minerals Council's chief executive said on Thursday. Investor risk aversion intensifies as US President Donald Trump plans to move forward with tariffs. Investor risk aversion intensifies as US President Donald Trump plans to move forward with tariffs on another $200 billion worth of Chinese imports, according to a new report. This is set to weigh on copper prices in the short run. We expect LME copper to test support at the 10-day moving average, with the SHFE 1810 contract hovering around 48,500 yuan/mt today. Spot premiums are seen at 60-120 yuan/mt. LME nickel extended its losses during the European trading period. LME nickel tumbled to the $13,200/mt level before it pared some losses and closed at $13,310/mt on Thursday. The SHFE 1811 contract plummeted to a low of 108,180 yuan/mt before it regained some losses and closed overnight at 108,620 yuan/mt. Growing inventories in China eroded upward momentum in SHFE nickel prices and fuelled bearish market sentiment. We expect LME nickel to hover around $13,300/mt today and the SHFE 1811 contract to trade at 108,500-110,000 yuan/mt. Spot prices are seen at 108,000-112,000 yuan/mt. Oil dips on Sino-U.S. trade conflict, but looming Iran sanctions support. Oil prices dipped on Friday amid concerns the trade war between the United States and China could intensify, although looming U.S. sanctions against Iran's oil exports prevented markets from falling further. Still, with Venezuelan supply falling sharply and concerns around U.S. sanctions against Iran that will target its oil exports from November, crude markets in August are on track to post a more than 4 percent rise for Brent and a 2 percent increase for WTI. In a sign of a tightening market, the amount of unsold crude stored in the Atlantic basin has dwindled from around 30 cargoes to just a handful in recent weeks, trade data showed. this, analysts cautioned that the trade disputes between the United States and other major economies, especially China and the European Union, could start to drag on economic growth and, by extension, fuel demand. Gold prices fell on Thursday, after hitting their highest in over a week in the previous session, as fears of another round of U.S. tariffs on China and expectations of higher interest rates lifted the dollar. Spot gold was down 0.4 percent at $1,191.18 an ounce. Prices failed to hold the psychological level of $1,200, after hitting $1,201.51, their highest since Aug. 13, in the previous session. U.S. and Chinese officials met for the first time in over two months to find a way out of their deepening trade conflict, but there was no evidence the low-level discussions would halt a new round of U.S. tariffs due to go into effect on Thursday. Minutes of the Federal Reserve’s latest policy meeting suggested the U.S. central bank is on course to further raise interest rates. The Fed has raised rates twice this year and is widely expected to tighten policy again next month after leaving rates unchanged at their last meeting. Rising interest rates increase the opportunity cost of holding non-yielding gold while boosting the dollar, in which it is priced, making the yellow metal more expensive for buyers using other currencies. The dollar index, which measures the greenback against a basket of six major currencies, was up 0.3 percent at 95.411, after falling to its lowest in nearly three weeks at 94.934 on Wednesday. Markets are now eagerly watching for the Fed’s economic symposium in Jackson Hole, Wyoming, which will begin on Friday. Investors will wait to hear any change in stance from the central bank especially after President Donald Trump’s attack on its monetary policy early this week. Copper prices slipped on Wednesday as worries about demand resurfaced ahead of trade talks between the United States and China that are seen as unlikely to yield progress. Benchmark copper on the London Metal Exchange ended down 0.7 percent at $6,005 a tone, after hitting a one-week high of $6,076 on Tuesday. U.S. and Chinese officials are set to resume contentious trade talks on Wednesday under the cloud of a prediction by U.S. President Donald Trump that there would be no real progress. The discussions among mid-level officials could set a framework for further negotiations as each country prepares to hit the other with new tariffs on Thursday in a deepening dispute over China’s economic policies. China accounts for nearly half of global copper consumption estimated at 24 million tones. The United States accounts for about 8 percent. China almost quadrupled the value of fixed-asset investment projects approved in July from the previous month as Beijing looked to accelerate infrastructure spending to stabilize the cooling economy. In news, China’s central bank said it will not resort to strong stimulus to support the slowing economy, but will keep liquidity reasonably ample and offer more help to companies that are having trouble obtaining financing. On supply side, cancelled warrants - material earmarked for delivery - for copper in LME-approved warehouses - have risen above 67,000 tones, from around 25,000 tones last week. The latest number is about 25 percent of LME copper stocks. U.S. oil prices on Thursday extended gains from the previous session on a fall in U.S. commercial crude inventories, while international crude markets were weaker due to the trade dispute between the United States and China. U.S. West Texas Intermediate (WTI) crude futures were at $67.95 per barrel, up 9 cents, or 0.1 percent, from their last settlement. U.S. commercial crude oil inventories fell by 5.8 million barrels in the week to Aug. 17 to 408.36 million barrels, the Energy Information Administration (EIA) said on Wednesday. International markets were more cautious as the ongoing trade spat between the United States and China was seen as a drag on economic growth. Brent crude oil futures were at $74.69 per barrel, down 9 cents from their last close. On the supply side, U.S. crude oil production C-OUT-T-EIA rose back to 11 million barrels per day, the EIA report said. That means the world’s three top producers, Russia, the United States and Saudi Arabia, now all churn out around 11 million bpd, meeting a third of global demand.